Android Nougat 7.1 ROM, HTC One M9 CM14/14.1 (CyanogenMod 14/14.1) has now arrived via an UNOFFICIAL build. For latest updates, stay tuned to the Lineage OS device list page. This Nougat 7.1 has come for HTC One M9 via CM14/14.1 (CyanogenMod 14/14.1) ROM. We have all available OFFICIAL CM14 (Cyanogenmod 14) ROMs, we have update many Android NOUGAT AOSP ROMs and also we have update a big list of available CM14/14.1 (CyanogenMod 14/14.1) Nougat 7.1 ROMs. This CM14/14.1 for HTC One M9 (himaul) is brought to you by developer Flyhalf205. If you like this ROM then consider a donation to Flyhalf205. THIS IS AN INITIAL BUILD BUT IT IS IN ALPHA/BETA STATE. IT IS NOT USABLE AS A DAILY DRIVER. TRY AT YOUR OWN RISK. Installing a custom ROM on a HTC One M9 (himaul) requires the bootloader to be unlocked on the HTC One M9 (himaul) phone, which may VOID your warranty and may delete all your data. Before proceeding further you may consider backup all data on the phone. You are the only person doing changes to your phone and I cannot be held responsible for the mistakes done by you. – Here is theTWRP update guide for the HTC One M9 (himaul). This TWRP recovery guide requires an unlocked bootlaoder on the HTC One M9 (himaul). Download and Copy the GApps and HTC One M9 (himaul) CM14/14.1 (CyanogenMod 14/14.1) ROM ZIP to your phone. First flash the HTC One M9 (himaul) CM14/14.1 ROM ZIP from device. Then flash the GApps zip from your device memory. Reboot and Enjoy the Nougat 7.1 ROM CyanogenMod 14/14.1 (CM14/14.1) for HTC One M9 (himaul). 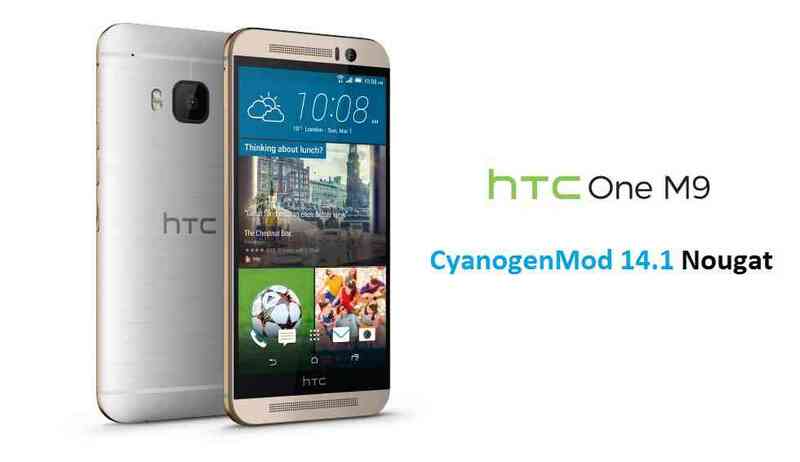 Copy the latest HTC One M9 (himaul) CM14/14.1 ROM ZIP file to your phone. Stay tuned or Subscribe to the HTC One M9 (himaul) forum For other Android Nougat ROMs, CyanogenMod 14/14.1 ROMs, other ROMs and all other device specific topics. i’m testing the Coustom Rom and i have to say sometimes is lagging a little bit. Hi i am currently trying to use your rom as a Daily Driver. I will try my best to report any bug i find in the system. I am using the version for the HTC Himaul. -Device is turning the screen off randomly. Currently trying to figure out the conditions. -Doesn’t save that an SD-Card was added. Asks every restart. Thanks for your big review on this ROM. It will be helpful to all other users for sure. Do you actually know if there is something like a checklist for CM/LA Funktions to check all functions ? Would make it easier for me to find out, what is working and what not. Hi Basti1104, what is the CM/LA functions for checklist ? If you can explain a little more on that I can answer you on this question.